Grand Theft Auto 5 is a popular game. It has made Rockstar a ton of money and the game’s multiplayer component GTA Online is another big hit. In fact, Rockstar’s parent company Take-Two regularly says that GTA Online is its top performer in quarterly earnings reports. Apparently, it has earned the company as much as $500 million from microtransactions. But don’t expect it to be around forever. Rockstar has said that there will come a day when GTA Online will no longer be supported. All good things have to come to an end some day. It is sad, but true. They have no plans to end support immediately so you don’t need to worry about GTA Online right now. In fact, Rockstar is gearing up to release the biggest content update yet for GTA Online and plans to continue supporting it with new content for a while yet. But many don’t realize that it was never meant to be permanent. 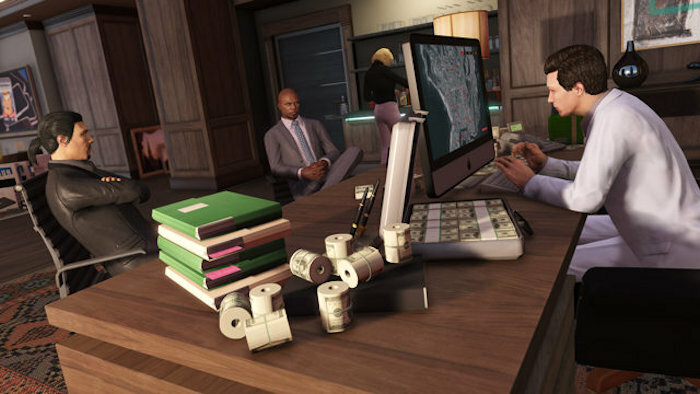 Take-Two CEO Strauss Zelnick says that it’s important that GTA Online not be permanent, “we have to rest the franchise at some point,” he added. He won’t say when the decision will be made. But for now players can enjoy it. Right now we can look forward to the upcoming expansion called Further Adventures in Finance and Felony. Just don’t expect it to be here forever.